Ethical bookkeeping and accounting practices are essential for your church to function. Dana McGuffin CPA works closely with clients to implement accounting procedures that are above reproach. Our church accounting firm in Southlake, TX will take charge of the accounting functions, so you can focus on growing your organization and community. How Can Dana McGuffin CPA Assist Your Ministry or Church? Ministries don’t place an emphasis on profits as businesses do, but it’s critical for them to have a strong fiscal foundation. We want your ministry to endure for generations, long after you or your board is gone. Dana McGuffin CPA has the expertise to provide critical bookkeeping and accounting functions, oversee separation of duties, help integrate donor management software with accounting software, and work with you to create a sustainable financial model. Do you need a qualified professional to manage your church’s growing finances? Is your church’s current accounting and bookkeeping system in disarray? Are you in need of someone who can handle it better? 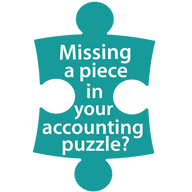 Do you want to streamline your accounting process but have limited time and manpower to spare for the endeavor? Dana McGuffin CPA is dedicated to helping churches meet their tax, accounting, and financial management requirements. Our church accounting firm in Southlake, TX simplifies your accounting function by handling financial records and making accurate payments. Trust our accountants to accurately reflect your current financial status so you can allocate your valuable resources to urgent needs. Leave the accounting concerns to us so you can focus on growing your church community. Over the years, we have worked with dozens of businesses, non-profits, and a few churches. It may sound crazy, but what we have found with churches is that when you're focused on the work you do best - ministry - finances are often the last thing to be prioritized. We have discovered that church leaders who put their vision first actually achieve that vision AND the rest of the church thrives beyond their wildest expectations. It just takes the courage to be fiscally responsible to put your VISION FIRST. We have a simple method called VISION FIRST, and we would love to speak with you about it. Let’s put your VISION FIRST! Dana McGuffin CPA is a merger between two firms in the DFW Metroplex — Dana McGuffin CPA, PC, and Knutson CPA, PLLC. In 2006, Dana McGuffin opened its doors to small businesses and non-profit organizations in Bedford, Texas. It purchased Knutson CPA, PLLC in 2017 and has since been serving the expanded clientele that the blend of the two firms draws in. Apart from accounting, our church accounting practice in Southlake, TX uses gathered financial data to advance our partnership with clients beyond numbers. We then started discussing profitability and cash flow after realizing that churches in the area struggled with proper financial management. We saw the need, and so we addressed it. How is your church managing its money? Are its books in order? Do all of your ministries receive a just share of the entire organization’s finances? Is your church, as a whole, benefitting from the congregation’s tithing? The unpredictable economic climate has created countless financial challenges for many organizations — religious denominations included. Proper church financial management is essential to maintaining fiscal viability and financing important church movements, such as ministry work and support for missionaries. A stable source of income also goes towards the maintenance of church buildings and other physical properties. Church leaders must ensure that resources are readily available to keep the organization moving forward. Grow your church without worrying about keeping your tax records and accounts in order. 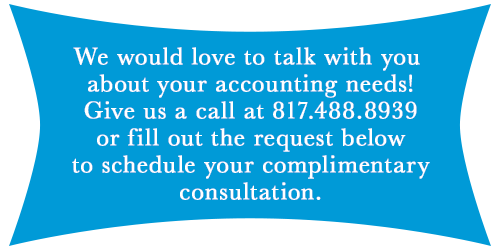 Let Dana McGuffin CPA handle all of your bookkeeping and accounting needs. Get in touch with us today to schedule your complimentary consultation.